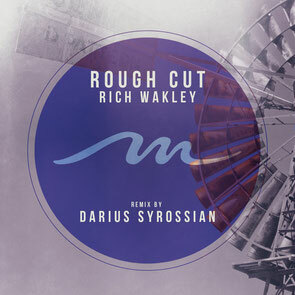 This month Rich Wakley releases his ‘Rough Cut’ EP on Mile End Records with a Darius Syrossian remix in tow. Since arriving onto the production scene in 2006 Rich has achieved success under various aliases and monikers and has stacked up a discography of over 100 productions and remixes on labels such as OFF Recordings, Roush, Great Stuff, 1605 and Resonance Records. EP opener and title track ‘Rough Cut’ is a robust cut peppered with old school influences, swollen bass booms away at the core of proceedings while gospel-like vocals resonate around whirring atmospherics, the addition of smooth percussive arrangements and varied synths culminates in a bouncy club-ready track geared for those high-energy moments. Leeds lad Darius Syrossian brings his talents to the table to showcase the production prowess he’s picked up delivering releases for the likes of Hot Creations, Area Remote, Off Recordings, Lost Records and Definition:Music. Frisky stabs and bouncy bass characterise Syrossian’s re-imagining while stripped back drums and a recurring male vox combine to lead proceedings into a house workout that closes the EP off.